The objective of Journal of Homoeopathy University (JHU) is to establish a scholarly forum through which aspects of homeopathic medicine and clinical application of the same are explored, discovered and discussed. This exchange of information related to homeopathic medicine relating to individual researchers and institutions who are creating a change in approach to health and disease will contribute to an increased knowledge base among readers, thus promoting critical importance homeopathy within health sector. JHU is currently accepting articles for publication. Please include a brief letter indicating your interest in having your manuscript considered for publication in JHU. Recent student papers (post-graduation theses, other scholarly works etc. ), clinical trials, case studies, drug provings are being currently accepted. However we are not limited to above categories. JHU is a journal dedicated to scientific and evidence based study in the field of homeopathy and encourages institutions, researchers, academicians and clinicians who demonstrate a high standard of scientificity and accuracy within their work & are committed to bring homeopathy at par with current scientific standards in medicine. We endeavor to showcase their excellent work and contribution through our journal. JHU will be published annually and produced in print format that will be disseminated via post or other means to subscribers. The journal shall soon be available in electronic format also. The Journal of Homoeopathy University (JHU) (ISSN(s) 2456-8562)is a peer-reviewed journal published annually by Homoeopathy University, Jaipur, Rajasthan (India). Its objective is to present various aspects of homoeopathic education, research and practice before the profession. The journal will encourage to publish scientific and evidence based studies in the field of Homoeopathy and invites medical particularly homoeopathy institutions, researchers, academicians and clinicians to share their knowledge and experience through this unique platform provided by the University. We endeavor to showcase their excellent work and contributions, through our journal, to the homoeopathy professionals, and students, besides the experts of the allied sciences. The journal shall be published annually. Special issues(s) may be released to commemorate any special occasion(s). The manuscripts must be solely the works of the authors, must have not been previously published or under consideration of any other journal. The journal strongly discourages duplication/re-duplication of data already published in other journals even when certain cosmetic changes/additions are made. If and when duplication is detected after publication the journal will be forced to retract such articles. All papers submitted to JHU will undergo peer-review process and will be reviewed by the concerned experts. The comments of the reviewers shall be conveyed to the authors for compliance/ comments.All accepted papers will be suitably edited before publication. However, the decision of the Editorial Board of JHU regarding the publication of the article(s) or any other matter related to JHU is final. 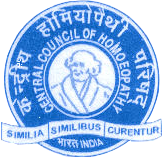 Articles contrary to the principles of Homoeopathy shall not be accepted. The articles of the scientists and academicians of both Homoeopathy and allied sciences as well as homoeopathy clinicians will be considered for publication. If any article is accepted but cannot be published in the forthcoming volume of JHU due to space constraint or other reasons,it may be considered for the next volume of the journal. 2. Manuscripts including tables/figures/photographs etc. 7. Particulars of corresponding author (if the article is written by more than one author), i.e. name, designation, institution, email ID, mobile number etc. Manuscript can be submitted by email, in addition to the hard copies. Please submit tables as editable text and not as photographs/ jpeg images. Tables should appear in the text;besides submit tables separately on separate page(s) at the end of manuscript for printing purpose. Number tables consecutively in accordance with their appearance in the text. Provide a short but self-explanatory title for each table, which should be placed above the table. Any explanatory information or description of symbols etc. used in the table should be explained below the tablein legend. Figures include graphs, illustrative drawings/ pictures, images of laboratory reports, photographs of patients before – and-after treatment etc. Upload the images in JPEG format. Figures should be numbered consecutively in accordance with their appearance in the text. Title for the figures should be placed below each figure. Detailed explanations about figure should be placed below the figure in legend; be careful that explanations should not be made within the figure.When graphs are submitted the numerical data on which they are based should also be supplied. If photographs of patients are used in the article, their pictures must be accompanied by written permission to use their photographs. If a figure published elsewhere is included in the article, acknowledge the original source in reference and submit written permission from the copyright holder to reproduce the material. Final photographs for print: Send sharp, glossy, un-mounted, color photographic prints, with height of 4 inches and width of 6 inches at the time of submitting the revised manuscript. Print outs of digital photographs are not acceptable. If digital images are the only source of images, ensure that the image has minimum resolution of 300 dpi or 1800 x 1600 pixels in JPEG/TIFF format. The Journal reserves the right to crop, rotate, reduce, or enlarge the photographs to an acceptable size. Original Research: Such articles should be written in less than 3,000 words, but longer papers may be accepted if found suitable. Abstract of not more than 300 words must be included. The main body of the article should usually be organizedcontaining Introduction, Materials &Methodology, Results, Discussion and conclusion etc., the details of which are given in the next section. Articles on qualitative and quantitative research; prospective /retrospective studies are welcome. All articles must clarify how the findings of the study will advance the existing knowledge on the subject concerned. Education: These should be written generally in less than 1,000 words excluding abstract of not more than 250 words.The article should usually be organized including the sections Introduction, Discussion & Conclusion. These articles should enhance the existing knowledge on teaching methodology; curriculum development; lesson plan; existing lacuna(e) in the education domain and how to overcome etc. Review articles: Such article should be written generally in less than 3,000 words, but should includepreferably a structured abstract of not more than 250 words. Systematic or critical reviews are also welcome. Case Reports: Such reports should contain usually less than 2,000 words excludingabstract of not more than 250 words.While writing case reports, the CARE guidelines/Hom-case guidelines should be followed. Letter to the Editor:It may contain up to 400 words. Note: while writing references for the above categories of articles, the Vancouver style should preferably be followed.